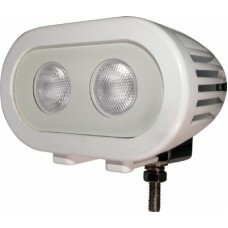 Built-in IP68 magnetic switch to cycle light between high/low/strobe (6Hz)/off. A key feature of the Kevin Jr. is that when installed in an inaccessible location (high on a sailboat mast for example), any remotely installed switch will automatically produce a high beam independent of the built-in switch. 600+ lumen rated high-power LEDs provide the highest lumen-per-watt light, outperforming other LED lights in its class. 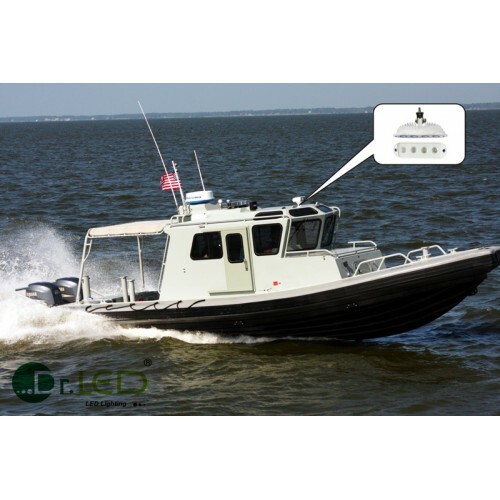 Designed to be mounted up to 20’ above deck with aerodynamic shape. ADC12 high purity die cast aluminum housing provides ample heat sinking as well as ingress protection to ensure a long operational life. 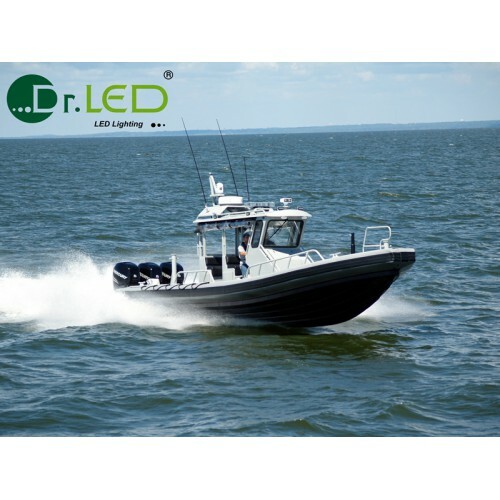 Marine grade 3-stage durable UV 3800 powder coated finish. NMMA, USCG, ISO 8846 & SAE J1171 Ignition Protection Compliant. 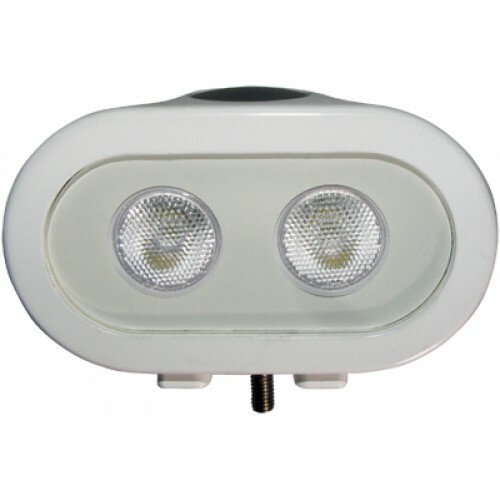 • Built-In IP68 Magnetic Switch to Cycle Light Between High/Low/Strobe (6Hz)/Off. NMMA, USCG, ISO & SAE Ignition Protection Compliant. • IP67, MIL-STD-810G Vibration & Shock Proof, ASTM B117 Salt Spray (Fog) Compliant. • CE, FCC Part 15, RoHS Compliant. • 6,000 Degree Kelvin Cool White with 600 Lumens (based on LED manufacturer specifications). • 50,000 Hour Life Span Rated US Made LEDs. • Operating Temperature: -40 to +145 Degree F (withstands temperature extremes). • Built-In Standard Camera Tripod Docking. • Does not work with dimmers. • Designed in the USA. Vertical and horizontal rail mounts available for 7/8” to 1 ¼” dia. rails.